Business VoIP plans and SIP trunking go to quality like makeup goes to models. The partnership is better when you have professionals at your side. See how VoIP phone systems bring quality to your business. VoIP has changed the face of telecommunications. No longer a system reliant on copper cabling and analogue technology, VoIP business phones operate via data packets across the internet. High-speed internet has boosted the quality and accessibility for business phone and internet plans. VoIP and SIP phone plans are a proven and stable system for businesses to capitalise on. Business VoIP plans are more in demand than ever before. 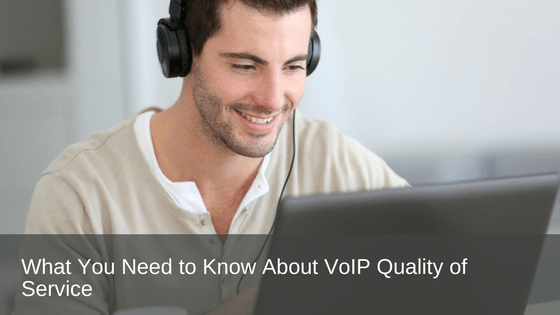 What is VoIP call quality like? When arranged by qualified technicians and SIP trunk providers, the quality of service for VoIP is indistinguishable against a standard phone call. Issues can arise if you try to run a business VoIP plan from a cheaply installed version. Like most things, it often comes down to you get what you pay for. We have heard stories about business customers who come unstuck by trying to use a home VoIP service to run their business telecommunications. These types of VoIP services are designed for minimal use. When over worked, they do not produce the call quality that you can expect from designated business VoIP plans. Saving a few dollars at the start could prove extremely costly in the long run. How a business VoIP service differ from standard service? Quite simply, business VoIP plans are arranged specifically for that – for business. Business VoIP plans (and SIP trunk plans) are run on a dedicated internet line. This is more beneficial for business as it guarantees greater available bandwidth that is not compromised by email traffic. The end result is optimal call quality and a reliable, user-friendly business phone system. Do you need a VoIP phone system for VoIP phone calls? You probably don’t need to rush out for an uber expensive business phone system to hook up with VoIP. There are a few methods that may be open to you. Although not all of the business phone systems around are compatible with SIP trunking, generally modern phones can harmonise with some types of VoIP and features like – multiple site compatibility, remote linkage, and improved communication productivity. For further detail about VoIP business phone plans, SIP trunking, and how to choose the best business phone system for your business, follow the links below. Business VoIP systems can provide a lengthy list of benefits for your business. And with the rollout of the NBN, transforming your business phone system to a VoIP-based service is now the way forward. Don’t get left behind in an analogue world. Whether you are keen on more detail about business VoIP plans, SIP trunk phone plans and call rates, or just want expert business phone advice – contact our team at Prosum. We have the knowledge and technical know-how for SIP trunking, VoIP business phone plans, and the full suite of business telecommunication solutions. Call 1800 007 229 or visit www.prosum.com.au to get started.